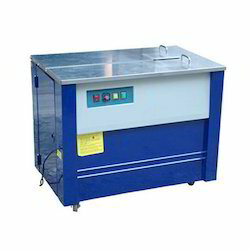 - Semi auto Strapping machine easy to operate and requires less maintenance. - Semi auto pallet strapping machine is Easy to install, Corrosion resistant and gives Flawless performance. - Auto Strapping machine-Stand alone is Corrosion resistant, Durable and gives Trouble-free performance. - These machines are used in packaging industry for strapping purpose. For delivery it becomes easy to handle if it is packed in dozen or tens. 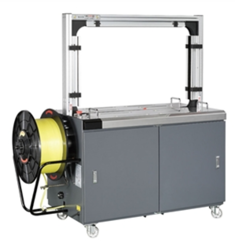 For this Nylone strip Strapping OR Sutli tying machines are available. Capacity: 25 Boxes / Per Min.